Returning for its 22nd year, BRIDE Dubai 2019 – the Middle East’s premier wedding and lifestyle event – brings more than 150 local, regional and international exhibitors together for the ultimate showcase of educational, entertaining and enriching offers in Saeed Halls 2 and 3 at Dubai World Trade Centre. Tickets are available from 800tickets.com and part of the ticket proceeds will be donated to the ‘People of Determination’ project, so make a difference; book today! With a jampacked line-up of designers, exhibitors and popular influencers, including Noha Nabil, bride-to-be Dana Al Tuwarish, Latifa Al Shamsi, Al Reem Saif, and Fatma Husam, as well as an extensive schedule of must-attend events, BRIDE Dubai 2019 is set to delight and amaze all in attendance. Join more than 10,000 of the most discerning brides-to-be and lifestyle-savvy women, take inspiration from the experts, indulge in unrivalled deals and discounts, and simply savour the amazing atmosphere of BRIDE Dubai 2019. Don’t miss out on the magical Secret Garden, home of the mainstage with daily catwalk shows, featuring the exquisite collections of leading international and regional designers such as Amato Couture, Ritu Kumar, Sevda Fashion House, Garimon Roferos Couture, Apple Wang,Piero Camello, and Atelier Zuhra.Get ready for intriguingly informative beauty demos by exhibitors and influencers, along with the BRIDE Wedding Awards and an exclusive bridal fashion show. 6:00pm – BRIDE Exclusive Fashion Show – Can you Keep a Secret? 6:00pm – BRIDE Exclusive Fashion Show: Can You Keep A Secret? 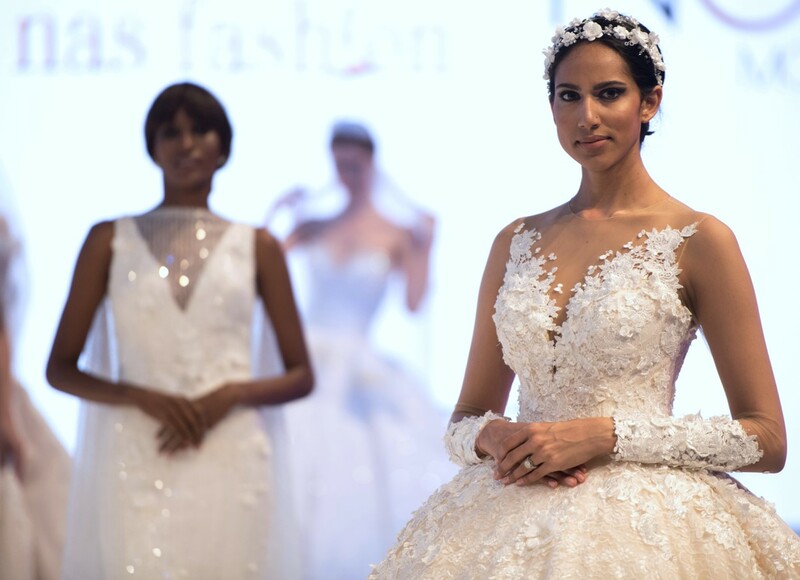 With such a wide selection of events, activities, and demonstrations, on show, we want to ensure you get the utmost enjoyment out of your BRIDE Dubai 2019 experience, so we’ve listed some of the brands that will be offering exclusive discounts, deals and promotions on various must-have products and services throughout the event. Special Offer: GS Hair Stroke during exhibition days for AED 1,500 instead of the regular price of AED 3,000,when you book your treatment onsite. Special Offer: The 2019 collection will be showcased and available exclusively at BRIDE Dubai 2019, along with 30% to 50% discounts on selected items during the 4days of the event. Special Offer: Free embossing for all customers who purchase leather strap Olivia Burton watches at BRIDE Dubai 2019.Customers will also receive a free Tote Bag with every purchase. Special Offer: 30% off all skin care, laser treatments and dental if you book onsite at BRIDE Dubai 2019. This offer is also valid for Facials, Laser Hair Removal, LEDTherapy, Carbon Peels, Face Bleaching, Tattoo Removal, Botox, Fillers, Mesotherapy, PRP, Non-surgical Face Lifting, and all dental procedures. Special Offer: 10% added value on Gift Vouchers; 25% OFF Anesi Facials; Buy-2-Get-1-Free on Hair Treatments. Raffles Hotel Dubai will be giving away an amazing prize, valued at AED 5000, to one lucky BRIDE Dubai 2019 visitor. This fantastic prize comprises of a two-night stay in a Landmark Suite, including breakfast for two and Raffles Club Lounge access (breakfast, afternoon tea, evening canapes and drinks). It is valid for one year and prior booking is required. Dates will be subject to availability and blackout dates may apply. Tips and Toes are gifting TITO Nail Polish. La Marquise Jewellery are offering a jewellery polishing cloth. With Standard Ticket entry, guests receive access to the Main Stage, 15% off Tips and Toes servicesand a Caffé Nero ‘Buy-One-Get-One-Free’ voucher at AED25 online (AED30 on the door). Tickets are available on 800tickets.comand part of the proceeds will be donated to the ‘People of Determination’ project, so make a difference; book today!